Greetings from the frozen and snowy lands. Our snow is only up to Yuri’s belly (calling him Yuri Zhivago as he prowls around the Siberian landscape), but we have had some extreme cold. t’s better today. My upstairs studio is a place of relatively warm refuge. Please remind me of this when I complain in July. 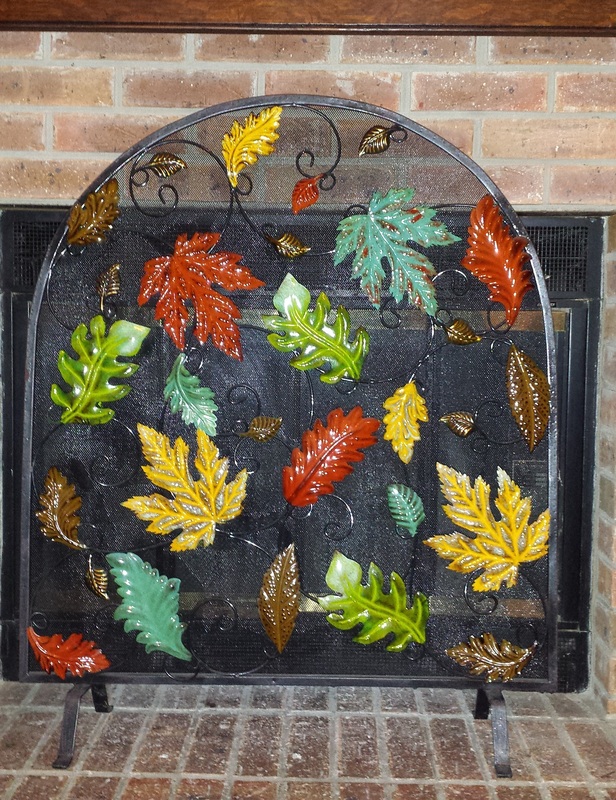 Several years ago my DH and I bought this beautiful fireplace screen. We live in the woods, and have leaf motifs on rugs, wallpaper, etc., so we thought it would look good most of the year. Au contraire, ma soeur! It looks great September through November, and stupid out of place the rest of the year. 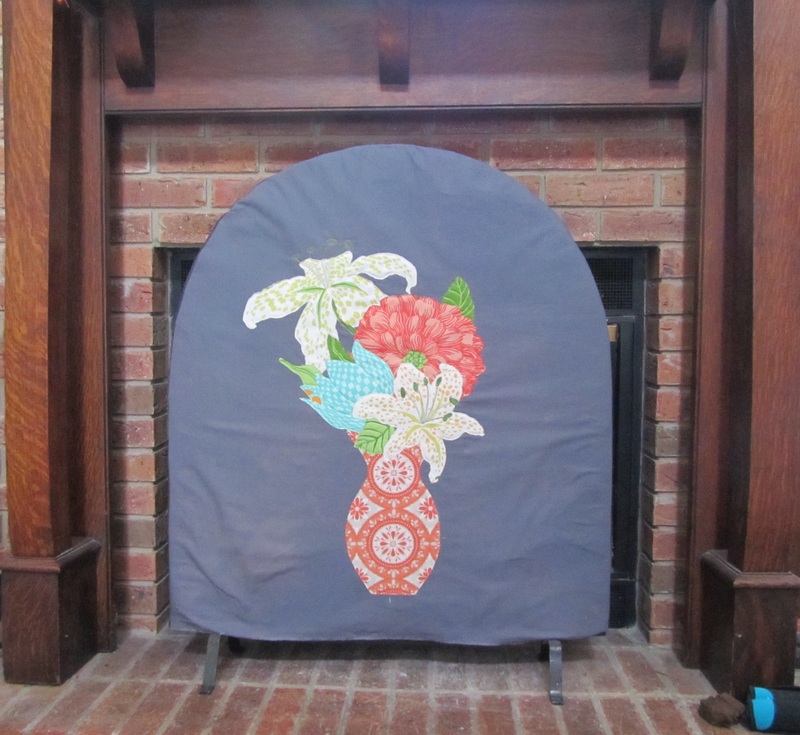 After Pam (Hip to be a Square) made a hanging for her fireplace, I resolved to make a cover for our screen. Here is the winter side. 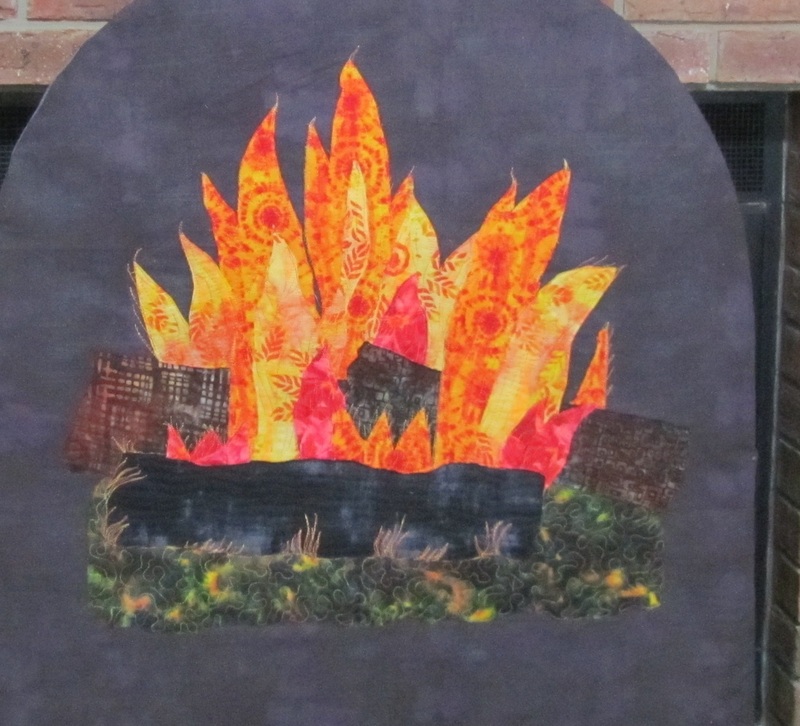 Kind of a whimsical and batik-y fire. I backed the base fabric with Pellon fusible fleece. The summer side could very loosely be called broderie perse, something I’ve loved since I was young. There are no laboriously turned edges here, though. I cut these flowers from home dec fabric and edge-stitched them with invisible thread, and did just a little accent stitching with decorative thread. I think it’s fresh and fun. Working on it was a good antidote to the endless white outside! Categories: Finishes | Tags: Evening in the Garden, superior threads, Valerie Root | Permalink. What a great idea, Valerie. Not only does it look warmer and just right for your fireplace right now, I bet it also keeps the room warmer by blocking a bit of draft inherent with most fireplaces. I wind up edge stitching around the applique through the fleece to get it to stay on. 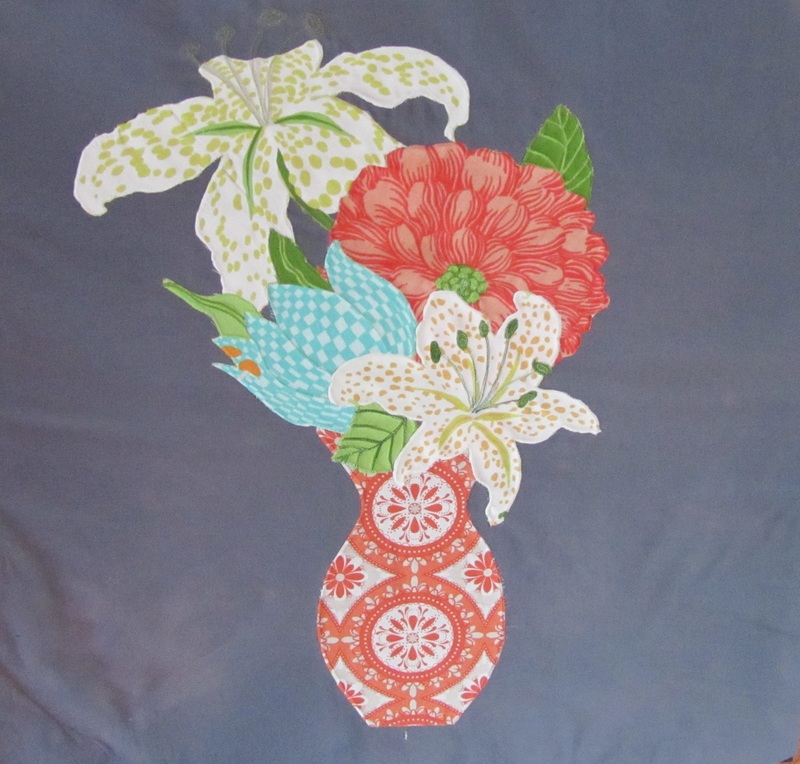 Those broderie perse flowers look so pretty. Thanks for linking to WIPs Be Gone, Valerie – I love coming to your blog. 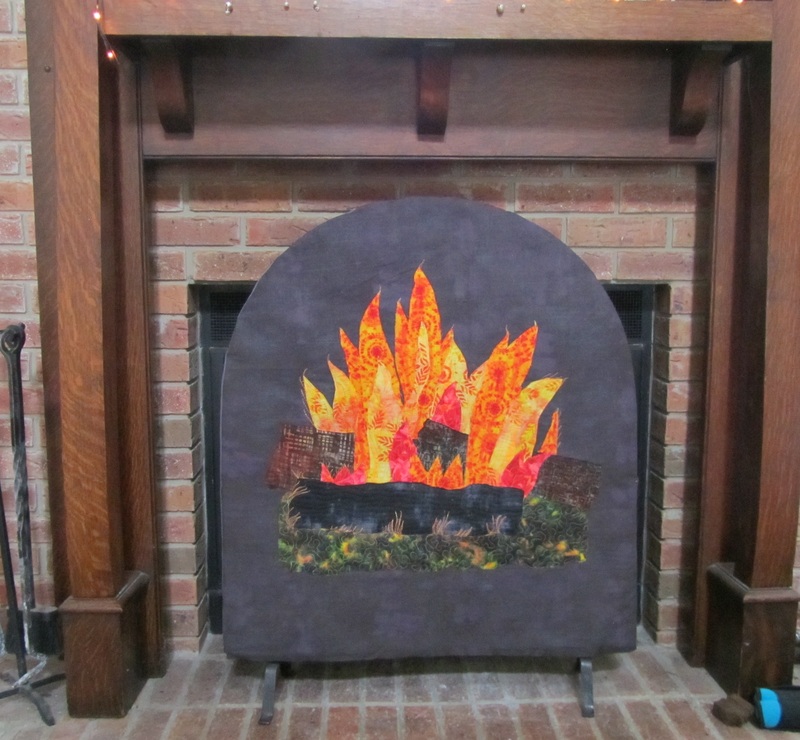 The fireplace screen idea is great. Impressive that you made it reversible. What fun that is! If I had a fireplace, I’d make one, too. I like that it’s two-sided.